Brian believes that the keys to achieving financial goals are built on trust and an understanding of the Financial Plan. 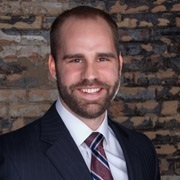 Brian is a CERTIFIED FINANCIAL PLANNER™ professional (CFP®) and uses a comprehensive approach to help bring together the different financial pieces of life into a cohesive plan. It is Brian's goal to work closely with individuals and families to help them understand their Financial Plan so that they can trust in it. Outside of work, Brian volunteers his time as a youth soccer coach. He also enjoys spending as much time as possible outside so he can take advantage of the many activities and seasons Michigan has to offer.